2015: Appeared in 24 matches for Republic FC in all competitions, including 17 USL appearances … scored eight goals in all competitions, including three in USL matches … Became the first player from Northern Ireland to score a hat trick in U.S. Open Cup history when he scored three goals against Sonoma County Sol FC on May 20 … Scored a brace against Seattle Sounders FC 2 on August 1 … Finished tied for third most goals in the 2015 U.S. Open Cup with four goals and was fourth in points with nine … Was named to the USL Team of the Week in Week 20 … Won the USL Goal of the Month Award in August. 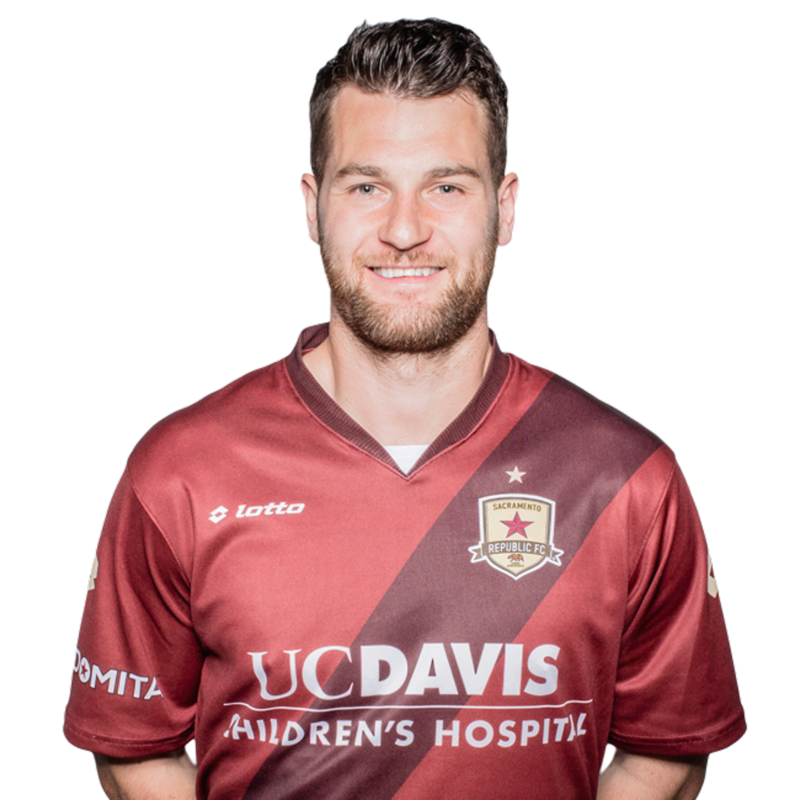 2014: Appeared in 28 matches for Republic FC, starting 17 … Scored 13 goals while recording four assists in 1,591 minutes played … Was the leading scorer for Republic FC in USL play with 11 goals … Recorded a brace against the Pittsburgh Riverhounds on July 27 … Had the first hat trick in Republic FC history when he scored three goals in just 29 minutes against Orange County Blues FC on August 17 … Scored the final goal for Republic FC in the 2014 USL Championship on September 27 … Was named to the USL Team of the Week in weeks 10 and 22. 2012-2013: Returned to Shamrock Rovers FC … Appeared in 42 matches scoring 11 goals. 2011-2012: Transferred to Partick Thistle FC … Appeared in 17 matches scoring six goals. 2010: Joined Irish Premier Division club, Shamrock Rovers FC … Appeared in 32 matches scoring 10 goals. 2008-2009: Moved to Derry City FC … Appeared in 43 matches in a year and a half … Scored 16 goals. 2006-2008: Started his career with Linfield FC … Appeared in 46 matches in a year and a half … Scored 21 goals. Stewart has been a member of the Northern Ireland U-15, U-16, U-17, U-18, U-19 and U-21 National Teams … Was the captain of the U-21 team appearing in 19 matches for the U-21 team scoring four goals. Goes by the nickname “Tommy” … Also called “Tam” … Has a sister, Tara and two brothers, Jonathan and Samuel who is a footballer in the Scottish Championship League … Enjoys skiing and golfing … Scored the game-winning goal which setup a tie with Juventus FC in the Europa League.